But the good news is, we’ll be telling you more about this parenting style, and how we can instead raise healthy, independent and self-confident children instead. We have with us our expert in child psychology, Vidya Ragu to explain to us what helicopter parenting is and how it can affect a child’s life — even in the long run. So what is helicopter parenting? Compare a helicopter to an airplane. Have you noticed how a helicopter is always overhead, close, and can go everywhere you go, following you around either with sight or with sound? It feels like it’s all around you when you hear it. Drawing a parallel to parenting from this, hovering over every aspect of your child’s life, laying out everything for them so they simply have to waltz through the path, is a setback for their development! Hovering over every aspect of your child’s life is a setback for their development. Now, what can you, as a parent do, to prevent your child from being unable to face the adult world? It needs to be understood that smothering the child will never make anything easier or better for them in the long run. As a parent, you really can’t control every aspect of your child’s life to make everything a bed of roses for them. Children require the learning process of doing things on their own, learning things on their own, facing difficulties and challenges, and just merely exploring to learn how everything around them works. They need to develop the skills of functional independence. 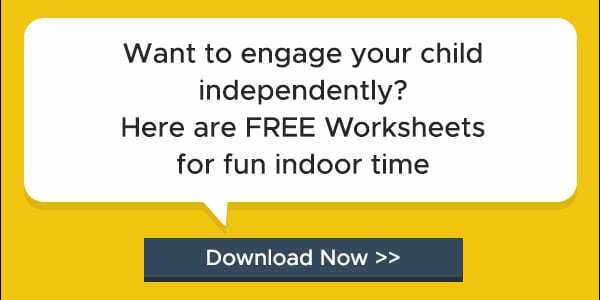 Says Alpana Deo from Mothersgurukul, “If your child gets into the habit of following your directions all the time and doing things under your guidance then how will they become independent? There is a difference between guiding them and deciding their actions. We don’t have to become a helicopter parent in order to become a perfect one. These skills can’t be developed when the parent is the primary decision-maker for the child. Why did helicopter parenting evolve in the first place? Vidya tells us that when this style of parenting came about, the world had a lot of war and violence. In that period, a level of protection was mandatory where child safety was the only concern. While today’s world has its horrors too, that level of being overprotective is unnecessary. Instead, parents should focus on teaching the child the difference between safe and unsafe, and good and bad. When children start learning to make these decisions independently from a young age, they won’t face a difficulty with it in their adulthood. Why does helicopter parenting still exist? Research shows that helicopter parenting makes parents really satisfied and happy. Because most parents love the fact that they can control different aspects of their child’s life, decide what experiences they go through and what happens to them as well. Parents feel like there’s a kind of certainty in their children’s lives and they like that. But how can this backfire? Children, on the other hand, are never taught how to deal with uncertainty under this parenting style and this adversely affects how they deal with tricky situations on their own. 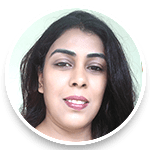 Says Anupriya from mommytincture, “Helicopter parenting has a long-term impact on the kids’ confidence levels accrued with low self esteem, which results from you not trusting them with handling their life issues their own way. It leads to adverse effects on the child’s physical, emotional and cognitive development. Taking risks and independence are both essential parts of a child’s overall development. They come to believe that ‘failure’ is not okay! And they end up being raised with basic coping skills. Another drastically adverse effect is that the children don’t learn how to effectively handle their emotions or look after their mental health. This is because all their life, they’ve been told how to feel about things and how to handle situations. They’ve never had to use any coping mechanisms and have always had their parents give them input on the way they would handle it — were they in the child’s place, whenever any problem arises. Children who are raised by helicopter parents always get things their way — and may grow up with a sense of entitlement. Vidya goes on to explain that children need to be put through difficult situations to understand how they would handle it. They need to build their own emotional identity and self-concept which is crucial in child development. This would help them realize who they are as an individual, what makes them who they are, and what would give them self-confidence. In order to prepare children for adulthood, the first thing that needs to be given is the freedom to make choices and decisions. Parents can act as guiding forces and help their kid differentiate right from wrong, but the ultimate decision making should be the child’s. For example, start off with small things like asking them what they would like to do for fun, what they would like to eat, what they would like to watch, etc. Once you’ve had a conversation with them about everything they can do, let them roam freely within those boundaries and explore for themselves. This doesn’t mean you have to leave them to their own whims and fancies completely, but it just means that when you’re discussing things with them, make them feel responsible for their own actions and hold them accountable for every decision they make. Make sure they understand the responsibility of doing their own homework, helping out with chores, talking to their supervisors on their own if they need to, etc. When you take them shopping, give them a budget and let them pick their own clothes. Let them decide what they want to eat in a restaurant. Small things like this make sure that the child is practising functional independence. 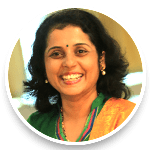 Vidya advises that when your child is facing a problem, instead of telling them what you would do and having them do that, discuss with them about what they understand of the problem, how they think it can be sorted out, what possible outcomes each solution will have, etc. This will help improve their problem-solving abilities and also their understanding of the people around them. When your child steps out of the house, if you’re constantly either tracking the GPS on their phone or giving them calls and texts every few minutes to make sure they’re okay, that’s smothering. Trust that after you’ve had conversations with your child about them and how they should be taking care of themselves, if they’re in good company in a safe place, they’ll look after themselves with ease. A lot of times, parents, even when they’re not around, leave a strict itinerary for the child to follow and finish the tasks of every half an hour or so. They fail to realize that that itinerary is what they, the parents, would like the child to do, not what the child would want to do. This is a very authoritarian type of parenting which isn’t good. So, when the child is forced to give in to this form of disciplining he/she simply doesn’t know what to do when there are no orders given. Instead, help the child understand where their responsibilities lie so they can look after themselves. Be a facilitator for them to complete their tasks, not a controller. 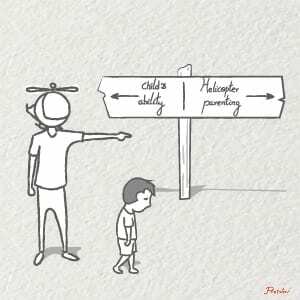 #HelicopterParenting Be a facilitator for them to complete their tasks, not a controller. Assist them to develop the necessary skills needed to finish tasks on their own even when you’re not around. Following these parenting tips will ensure that you have an unaffected, healthy bond with your child where they would love spending time with you and won’t be waiting for you to leave the house. The child needs guidance, warmth, and understanding when they’re facing a challenge in developing a skill. They don’t need instruction on what to do because that is just taking away the development of the skill. Allow them to try on their own and make their own mistakes. Ask them to think about how to correct mistakes and tell them that making mistakes is natural. For example, sit with your child and help them focus on something if they’re finding it difficult instead of scolding them. If they still think they’re unable to focus, ask them how they think they can focus better and direct them to the right path. This type of parenting is authoritative parenting, where limits and boundaries are set, but attention is paid to the child’s emotional and developmental needs. It’s an independent expression-based method of parenting. Research shows that kids raised by authoritative parents become more independent, self-reliant and successful. They are less likely to indulge in antisocial behaviour and less likely to report mental health problems like depression in the future. 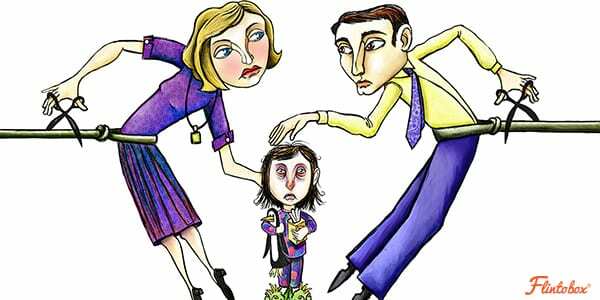 Permissive parenting will be the other extreme where no boundaries or rules are set and the parents let the child boss over them. Just because you don’t want your child to throw a tantrum or cry, it isn’t healthy to give them everything they ask for and to not correct them when they’re being rude and selfish. This can greatly impact their future personality. Choose your style of parenting carefully as this decides a major portion of who your child will turn out to be as an adult. Make sure you follow the principles of independence with boundaries when it comes to parenting them, as that would be the best way to go. 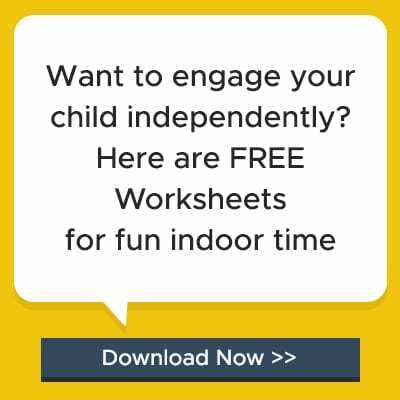 Don’t be a helicopter parent! Have we missed out on any point? Feel free to drop a comment below and share your views with us! Really great this article. I am preparing to follow your instructions . Thanks a lot. This article shows the way, where and where not the interference required. I also observed that, my ward is too happy when we treated her the way as shown in your writing. The problem is when she refuse to complete her homework and not willing to complete her class work. She is good in painting, oratory, swimming and skipping -play, play and play. Bored of writing. Its true that all parents overprotective on their children ,indeed I am not in this category, I joined my son in a school with maximum strength of students ,I wished he should mingle with all types children and feel friendly to them ,I believe that he can learn more of his life through his experience than my advice always. Wonderful article and need of the hour!!! Thanks for sharing. This article made me rethink on the way I handle my child in some instances. I would focus and implement most of the ideas shared here. Thank you madam. Thank you for the above guidelines of parenting. It’s a beautiful Article..Sometime Emotional because it is kind of right. 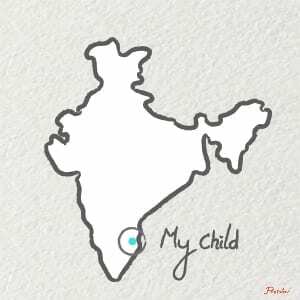 We parents think, we have to save our kids. But when they become big, then we think, why they are not smart like other kids. It’s happened to me, but this will not happen to my kid. Thank you for this so beautiful article. A very good read.. Every parent should have read on this article. Keep posting…!! Thank you so much, Karthika 🙂 Stay tuned for more articles! Very well said…..thats true…..i will follow this…..